Inter CEO Giuseppe Marotta insisted the club have "no doubts" Mauro Icardi will sign a new contract, while he said Atletico Madrid defender Diego Godin wants to join. 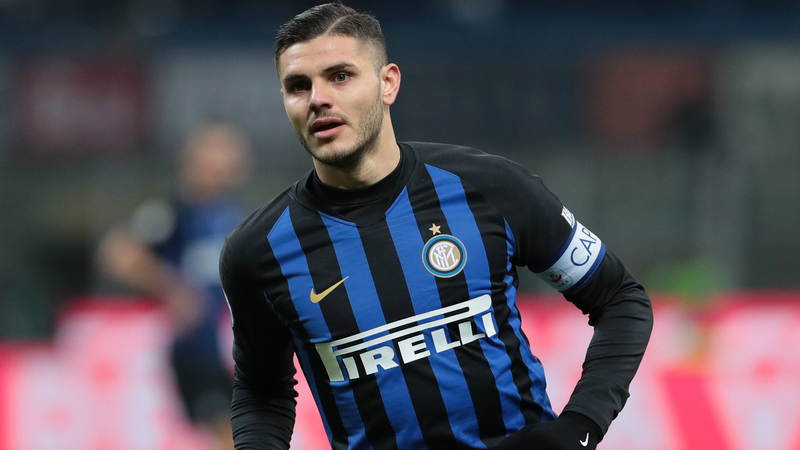 Despite being contracted until 2021, Inter captain and striker Icardi has been linked with a move away from the Serie A side. Icardi's agent and wife Wanda Nara said the Argentina international will renew, having previously claimed the 25-year-old was nowhere near extending his contract amid reported interest from Real Madrid and Manchester United. Speaking prior to Saturday's goalless draw at home to Sassuolo, Marotta said Icardi is close to re-signing. "We have no doubts that Mauro Icardi will remain here, as we are happy with him and vice versa," Marotta told DAZN. "The only remaining issue is when to put pen to paper on the contracts." Inter, meanwhile, have been tipped to sign Atletico and Uruguay centre-back Godin as a free agent. Godin is out of contract at the end of the season and the 32-year-old is reportedly set to join Inter. Asked about Godin, Marotta said: "I have to underline that Inter have a very strong appeal, as many players are looking for us and agents knock on our door. This is flattering, as it means we represent a reference point in the world of football.